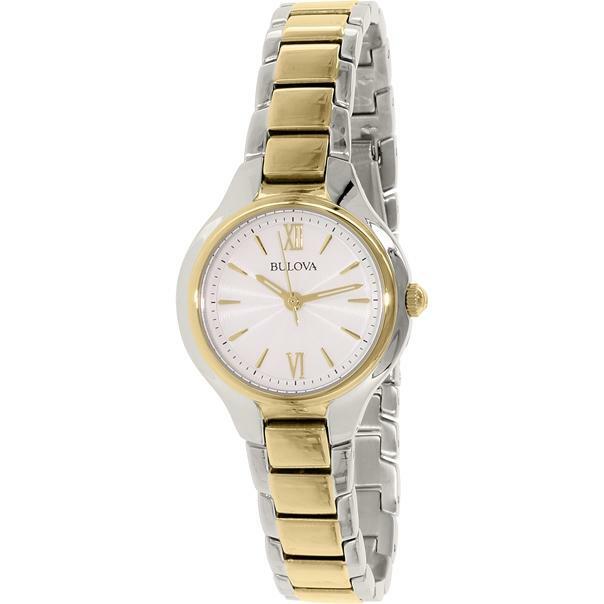 Bulova Womens 98L217 Analog Display Quartz Two Tone Watch. 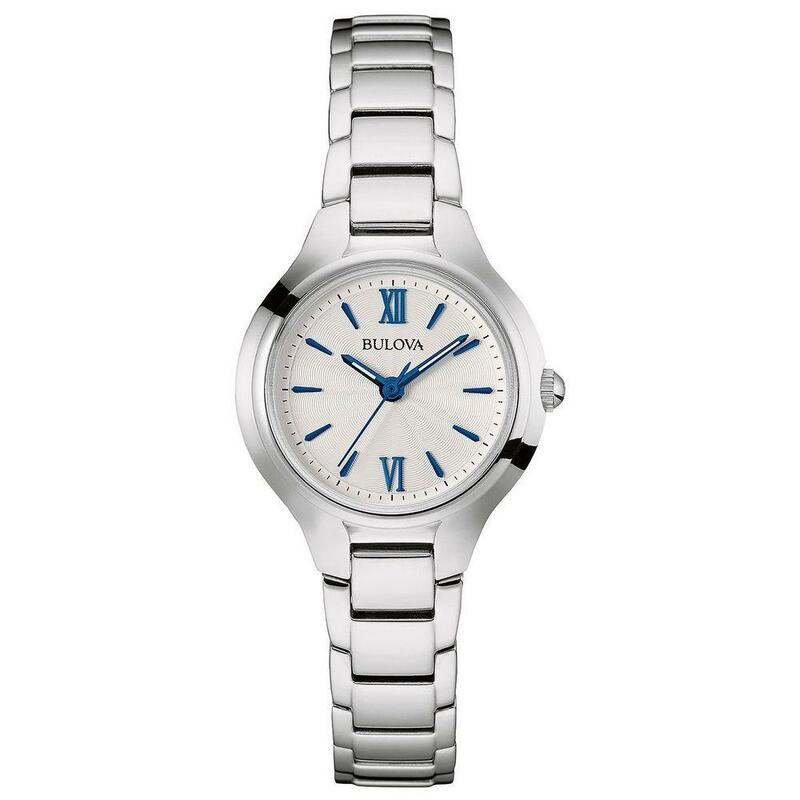 n stainless steel case with silver-tone and gold-tone finish and silver-white dial. 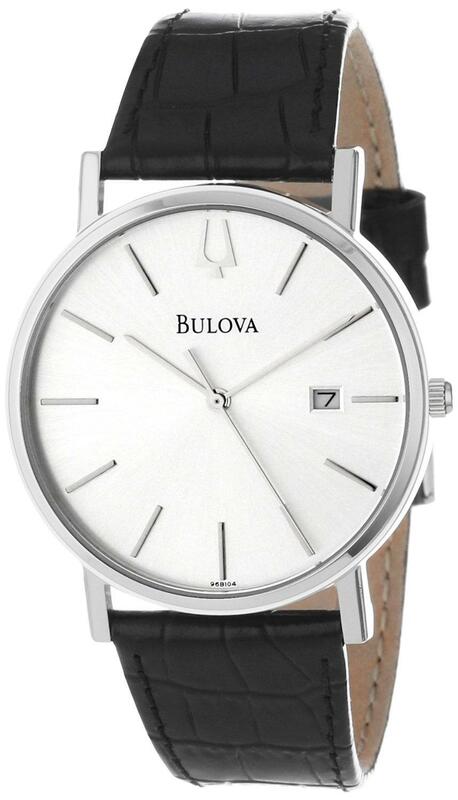 A flat mineral glass with a three-hand analog movement and fold-over closure. 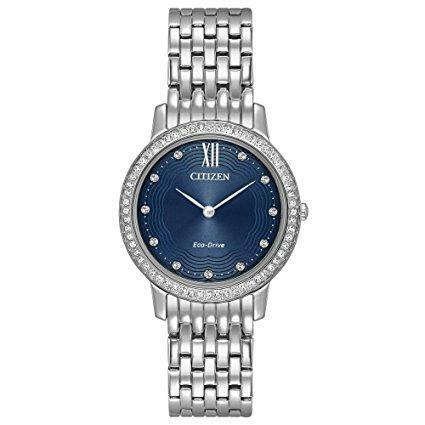 Quartz Movement, Case Diameter: 28mm,Case Thickness: 6.5 mm, Water resistant to 30m (100ft) Three year limited manufacturers warranty.